Adandina Apana is 48 years old and married. She has four daughters and one son. She learned basket weaving from when she was five years old. At fifteen, she first began weaving local hand fans. 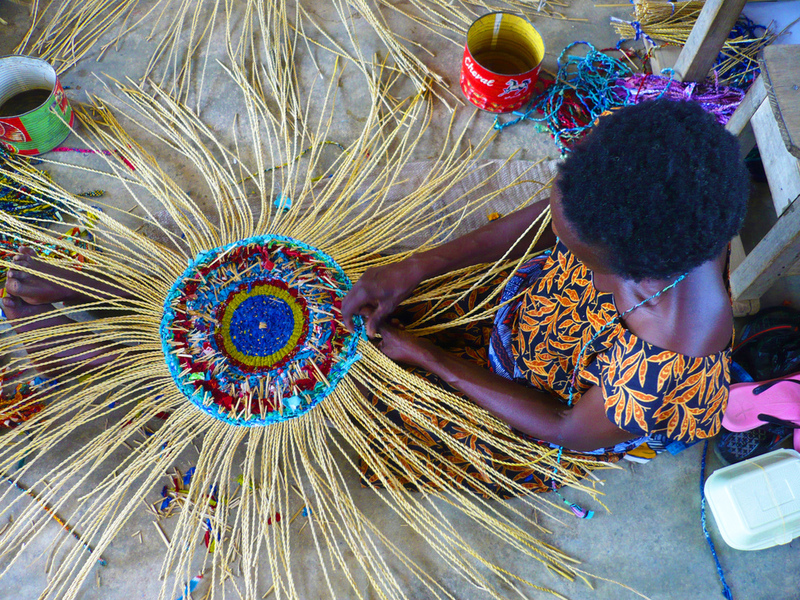 Making the recycled Bolga baskets for G-lish has provided an income substantial enough for Adandina to support all members of her extended family. Julie is a mother of three and her income helps support five other family members. G-lish foundation has largely helped her buy food, clothing and health assistance. Julie wishes to expand her basket trade as most of her income is spent on medicine for her sick son. In 2011, she was able to afford to pay for local surgery with G-lish income for her son, Daniel, who is now cured. Paulina is 40 years old and is illiterate due to the lack of opportunity for education. She supports her husband, son and five family members with the income she makes from weaving baskets and artwork. Since becoming a G-lish weaver, she buys ingredients for cooking, pay's her son's school fees, and now her family is able to eat together. Laadi is 28 years old. She's married with three children. Unlike many in her area, she went to school and learned to read and write, but she wasn't able to complete it as both of her parents passed away. She weaves art work and baskets for G-lish and now helps others in the community through her G-lish income. Vida is 27 years old and has one child. Due to poverty, her education has taken years longer to complete than usual, though she can read and write and has a strong grasp of English. 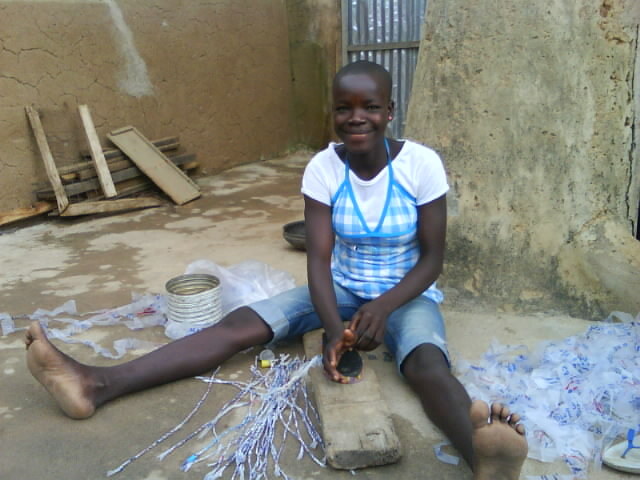 The income made from cutting and twisting plastic with G-lish has allowed her to support two family members, as well as pay for her upkeep in school and its expenses. Mama is 35 years old and was not able to attend school as her father couldn’t afford it. Instead, her father supported her skills in traditional basket weaving. The income she makes from G-lish has allowed her to support herself, her husband and three children with school fees, food and starting a new business. 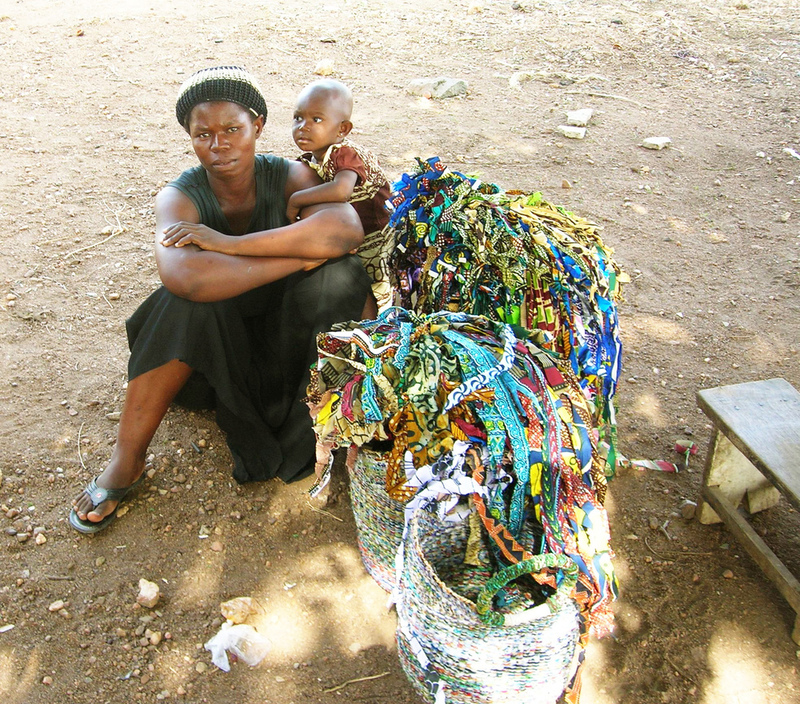 Adongoma works for G-lish as a cutter and twister where she cuts and twists the cloth into twines for the basket weavers. 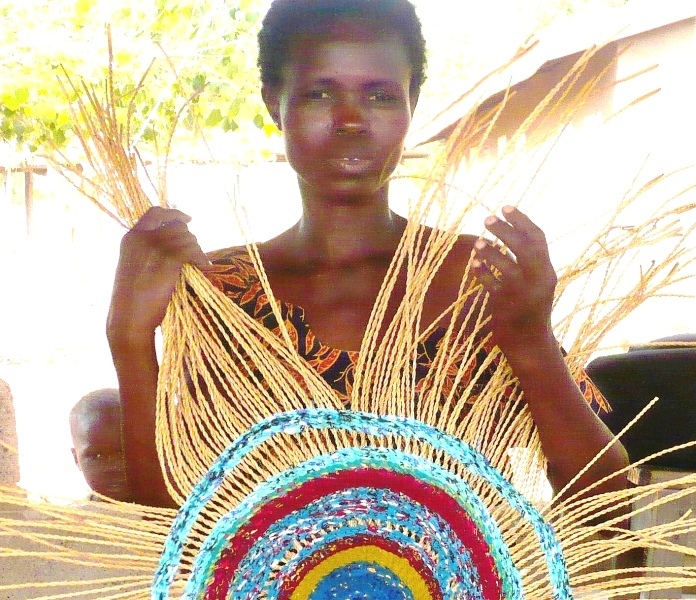 Basket weaving has been a skill Adongoma learned and she uses the income to support her family. At forty-five years, Adongoma supports six people . The greatest challenge is food insufficiency for her family. Atoore is 55 years old and never had the opportunity for education. Atoore is married with two children. The most important thing for her is her children’s education, which is now possible with the constant income from G-lish. This income also allows her to purchase food and ingredients when cooking for her family and the four other people she supports. Williams is 26 years old and supports eight family members. He was able to receive an education up until junior high school but did not continue due to financial constraints. G-lish has helped his family to buy clothes and food. William was able to buy a new bicycle with the income from six baskets allowing his family to travel to town.